Welcome to the Web site for the History Department at Trinity College, in Hartford, Connecticut. More than ever we need historical consciousness in our daily lives! The pace, intensity and contemporariness of everyday life, fueled by the myriad nodal points of interaction through the internet and the social media, might make it seem that the past is largely irrelevant today. Far from it! We in the History Department- faculty and students alike- passionately disagree. Every spring of every academic year our graduating majors leave us transformed by the study of the past, and its relevance for their daily lives. We also believe that all Trinity students who engage History Department faculty feel the same way. Today, historical study at a national liberal arts college like Trinity is an intellectual practice that makes the past come alive, in the U.S. and in the world beyond, in the class room and outside. In the process, whether in the lecture hall, in the seminar room, or when studying abroad far beyond Trinity--as many of our History majors do--our students ground and deepen their historical consciousness vis-à-vis the everyday in the skills of critical thinking, argument and writing that all citizens should master when making senses of an ever changing world. History offers keys to interpreting all major changes in the U.S. and abroad, from the sublime to the tragic, from the personal to the social. Some years ago, a popular slogan urged educators to: Start where the student is! Fit the curriculum to their curiosities! Be relevant! The History Department at Trinity agrees. It is wise to start where students are, but we believe it wiser still to lead them to places they might never have been before, living their daily lives with acute historical consciousness. This is our mission. 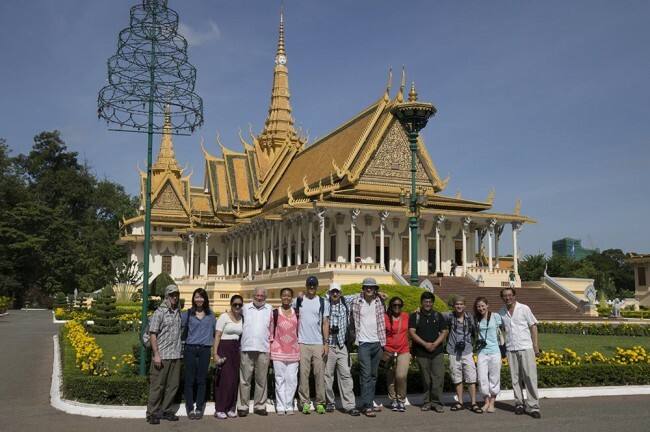 Read the History Department blog and find out about the program in Cambodia.